UFC heavyweight star Roy Nelson (19-9) recently met Daniel Cormier (13-0) on the main card of the UFC 166 event in Texa, USA. The meeting between Nelson and Cormier was a co-main-event, before the title match between Cain Velasquez (13-1) and Junior Dos Santos (16-3). The fight ended with a win for Cormier via unanimous decision. There will for sure be plenty of betting offers available if Nelson and Cormier meet again. 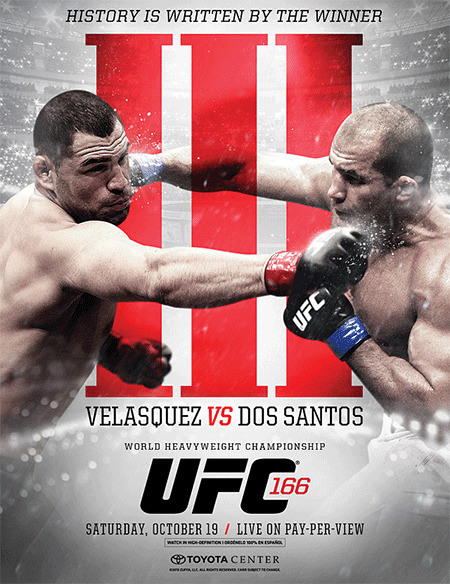 Their meeting at UFC 166 was very entertaining. Cormier dominated Nelson for 15 minutes. Nelson's training buddy Muhammed "King Mo" Lawal (11-3) lost against Emanuel Newton (22-7-1) on Saturday at Bellator 106. Nelson got interviewed after the fight. Nelson both commented on the fight as well as revealing that he is keen on meeting Cormier again. Olympic-level wrestler Cormier dominated the fight against Nelson, but Nelson had a different take on the fight. Nelson said: "I just got out pointed. It's nothing against Daniel. You know, Daniel (had an) excellent game plan. Played it to a T. I just wish I had two more rounds. That's about it. Daniel won that night, he was the better guy. I'd definitely like to do a rematch. I'd fight anybody that I ever lost to. "On Cormier's move to Light Heavyweight: I don't really care unless he's fighting me. I don't keep up with Daniel." But UFC president Dana White is not impressed by Nelson's view of the fight against Cormier. White said the following: "He said Cormier wasn't engaging enough. He (Cormier) outwrestled him, and he punched the living s--t out of him. How much more does he want to be engaged? He says some dumb s--t, and he's very delusional. "He says we've never given him a title shot when we should have given him a title shot. Every time you get that close to a title shot, you get beat by the best in the world. That's why you've never had a title shot." So a new fight between Cormier and Nelson looks unlikely at this stage.